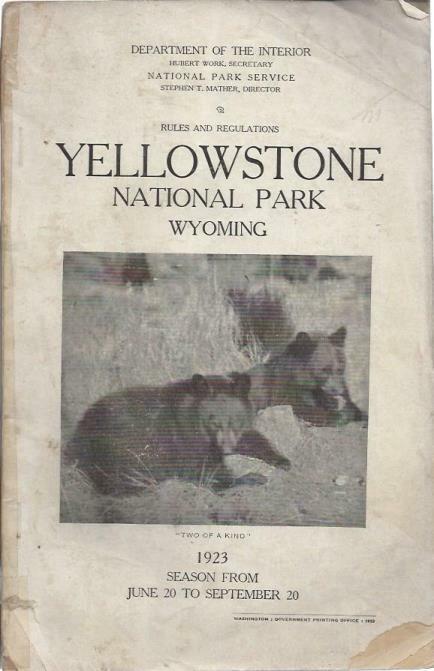 1 National Park Service Yellowstone National Park, Wyoming: Rules and Regulations. FAIR. off-white photo-illustrated wraps, bagged for protection with a stiff backing board, torn covers at corners and edges, tape repair to spine, browning and brittle pages, heavy handling wear.